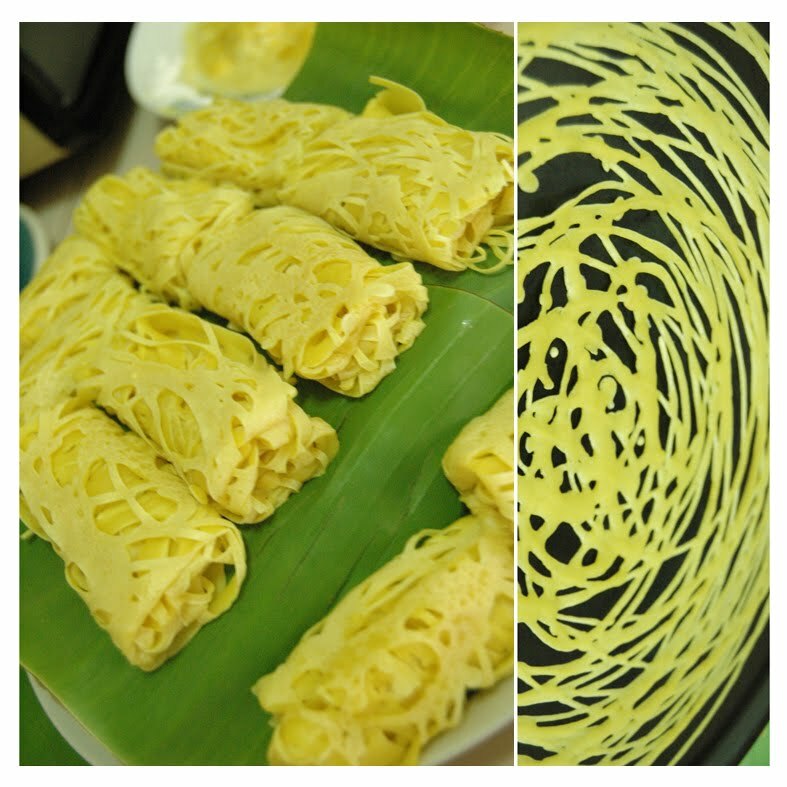 Beautiful organic shape from Roti Jala/Net Bread. Nice to be enjoyed with curry gravy that goes along with it. Made of flour, eggs, water and Tumeric powder for colouring with sprinkle of salt. Need a special mold to drop the mixture onto the flat pan. The mold can be found easily from 2 Ringgit shop, or any kedai runcit). Very enjoyable process.. end up with a nice presentation.